1000 miles is an impressive distance to run by any stretch of the imagination. To do it in 40 days across the high route of the Great Himalaya Trail is an incredible achievement. 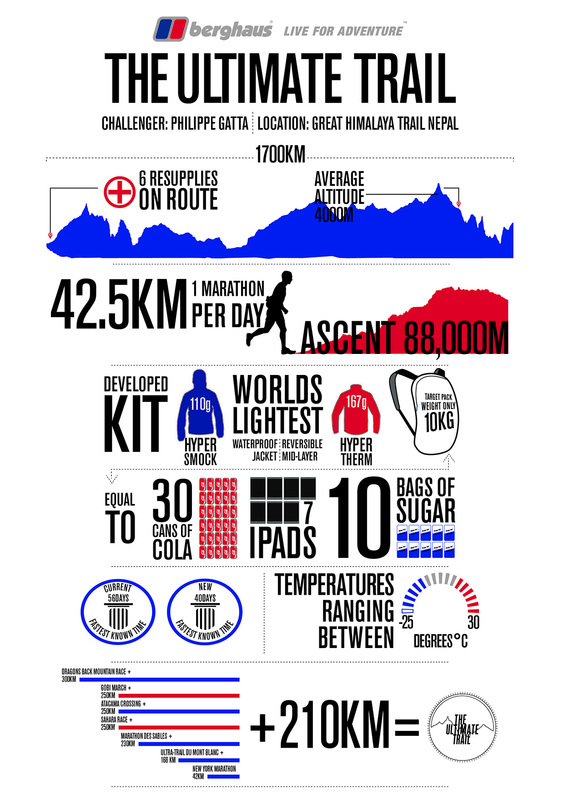 That’s exactly what Berghaus athlete Philippe Gatta is attempting to do, setting the fastest known time for the route. Gatta’s aim is to complete the route in 40 days, which will mean him running the equivalent of 40 marathons in 40 days. The route includes many passes at an altitude higher than 5,000m and two that are at 6,200m, and it navigates through some of the highest mountains in the world, including Everest, Makalu and Kangchenjunga.